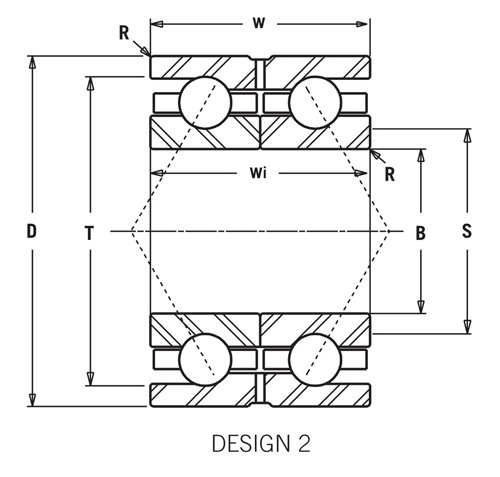 While single row bearings accommodate thrust in only one direction, these two row bearings are designed in a way that allows them to accommodate thrust in two directions. They are supplied in two designs in order to maintain a non-separable unit. Design 1 has a single double-row inner race, while design 2 has a single double-row outer race. Due to their construction, they are supplied with a very small positive axial clearance. 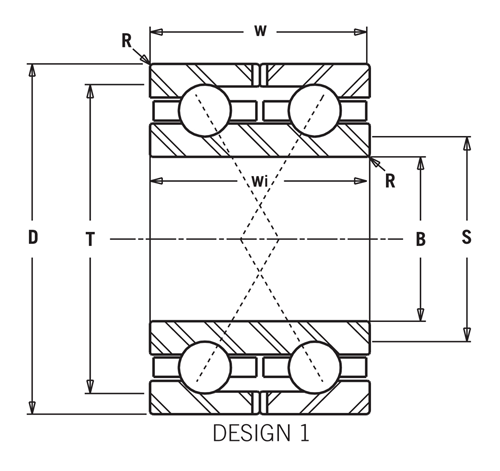 Since this typical bearing has a special bearing number, no suffixes defining the cage type, contact angle or axial clearance are shown in the bearing number. ISO standard metric sizes are available in 190mm to 280mm bore range. These bearings are frequently found in rolling mills as roll thrust bearings.